Inspired and emboldened by their peers at the University of Missouri, where protests this week led to the resignation of the school's president, activist students are following suit at Yale University, Ithaca College and beyond — and taking to social media to talk about being #blackoncampus. Rallies and marches are planned Thursday at St. John's University, Syracuse University and University of Wisconsin-Milwaukee as the events in Missouri continue to resonate nationwide. By Wednesday afternoon, the University of Missouri student collective known as "Concerned Student 1950," whose name pays homage to the year Mizzou admitted its first black students, took to Twitter to call for black students and alumni across the nation to share their experiences with the hashtag #blackoncampus. #BlackOnCampus Terrorism being called "bullying" by professors. And being mistaken for weak when taking necessary safety precautions. Jonathan Butler, who went on a self-imposed hunger strike in order to call for Mizzou President Tim Wolfe's resignation, joined in on the hashtag, too. On Wednesday afternoon, students at Ithaca College in upstate New York held a solidarity walkout, demanding the resignation of President Tom Rochon, and saying on Facebook that it was "vital to fight against both covert and overt racism in all places of education and empowerment." Thousands of students filled the Ithaca quad and gathered around an area on campus known as "Free Speech Rock." Student leaders demonstrated, leading call-and-response chants of a South African rallying cry — "Amandla! Awethu!" ("Power! Is ours!" in Zulu) — and even staging a "die-in," with hundreds of participants laying down on the damp pavement. The student organization People of Color at Ithaca (POC at IC), organized the walkout, saying on Facebook that they were taking a stand "for all the injustices students of color face on this campus and other colleges nation." The students there said that several racially charged incidents, including an event last month in which a prominent alumnus made racially insensitive remarks about another alum at a public event, have not been properly acknowledged by campus leadership. The episode angered many student,s who claimed no one stepped in. Rochon later addressed the issue in a statement, saying the college could not prevent the use of hurtful language on campus and could not promise that it would never host another speaker that might say something offensive. Shortly afterward, students began calling for a vote of no confidence in Rochon. "He holds the future of this college very strongly in his hands and he's letting it slip," student body president Dominick Recckio said on Tuesday. "Students feel pushed to the margins every single day on campus." On Tuesday, Rochon announced that he would begin a search for a Chief Diversity Officer to improve the campus' "racial climate and build a culture that lives up to its values of civility, mutual respect, and justice." Roger "Doc" Richardson — the associate provost for diversity, inclusion, and engagement — will serve in this role on an interim basis. At Yale on Monday, thousands of students, faculty and staff members took to the streets in a "march of resistance." Tensions at Yale recently hit a high when an administrator sent an email to students cautioning them about wearing Halloween costumes that might offend others. A Yale professor pushed back against the warning, writing, "Is there no room anymore for a child to be a little bit obnoxious ... a little bit inappropriate or provocative or, yes, offensive?" In a separate incident, students of color were angered amid allegations that the fraternity Sigma Alpha Epsilon held a "white girls only" party. In a message posted on the Yale News page late Tuesday, President Peter Salovey and Yale College Dean Jonathan Holloway wrote: "We cannot overstate the importance we put on our community's diversity, and the need to increase it, support it, and respect it. We know we have work to do, for example in increasing diversity in the faculty, and the initiatives announced last week move us closer toward that goal." 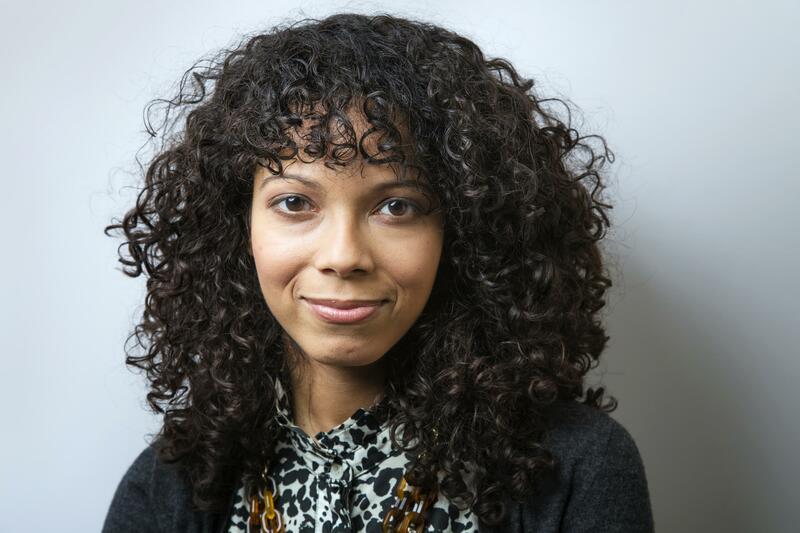 Amber Payne is the editor of NBCBLK, a section of NBCNews.com that will cover stories by, for, and about the black community. Amber spent 10 years at NBC Nightly News with Brian Williams shooting, writing, and producing breaking news and feature stories, most recently serving as coordinating producer for Harry Smith. She has covered stories throughout the US and UK, Ecuador and parts of West Africa and South Africa. A graduate of the University of Virginia, she was raised on Maryland blue crabs but calls New York City home.